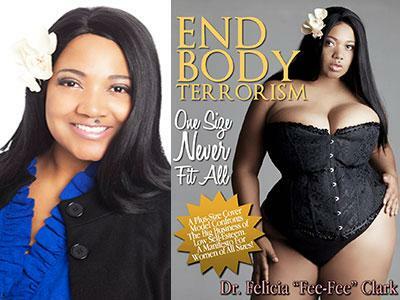 Dr. Veronica's guest is Dr. Felicia "Fee-Fee" Clark, a Body Acceptance Life Coach and the nation's leading scholar on Body Terrorism. She coaches women into loving their bodies which happens when a woman connects to her feminine essence and filters out negative destructive messages. She also teaches classes in the Denver area to teach women how to breathe and move to activate their feminine energy so that women feel connected to, and comfortable in, their bodies. Dr. Clark, a professional plus-size model once represented by the top modeling agency in the United States, emphasizes to her coaching clients that beauty is NOT the gateway to love and happiness. A woman must be receptive in order to be attractive and this magnetic attractive force is centered in a woman's womb. She speaks at colleges, conferences, and to women's groups about how successful women must stay connected to our feminine selves which means embracing the sacredness of our wombs.